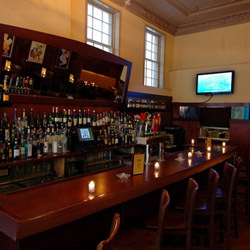 Join your fellow young alums for free appetizers, cheap drinks, and good times at the Loie Bistro & Bar in Philadelphia. Dan Lovell '04 will host this Happy Hour at Loie. For more information, you may contact Dan at dlovell@gmail.com or 617-851-4191. Come join us for a golf outing at the recently renovated DuPont championship course at the venerable DuPont Country Club. This will be the first annual joint event of the Chicago Graduate School of Business Alumni Club of Greater Philadelphia and the MIT Club of the Delaware Valley. The DuPont course was renovated in 2005 and is in excellent condition. We will be playing an 18-hole scramble format with 4-person teams comprised of both MIT and GSB alumni with prizes for the winning teams, and individual prizes for Closest to the Pin and Longest Drive contests. Dinner and social event will follow in the President's Room of the Country Club. 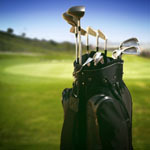 The entry fee covers golf, cart, dinner, practice balls at the range and a golf gift kit. We appreciate prize sponsorship by Rebecca Li-Huang of Merrill Lynch Private Wealth Management. Learn more about her group below. Players of all skill levels are welcome. We will flight the teams with level A-B-C-D players for each team/foursome. We'll play Gold (middle) tees, 6325 yards. Please note the strict DuPont Country Club dress code, detailed below. There will be a cash bar available after the round and during dinner. It promises to be a landmark event, so come ready to play, meet some folks from another alumni club and have fun! Tee times will be sent via e-mail after August 4. Guests: Each alum may bring up to three guests at the appropriate rate for that alum. If you wish to bring more, please contact Cary Veith (contact info below). Please provide your handicap; official USGA handicap is best. If you do not have an official USGA handicap, then, please indicate how many strokes over par you will typically expect to shoot. The DuPont Country Club has a strict dress code. The following are not acceptable attire: cutoffs, athletic/workout shorts, denim of any kind, cargo shorts (with external pockets), collarless T-shirts (although mock-turtle neck golf shirts are permitted), tank tops, metal spikes. Note: women can wear sleeveless tops provided the top extends to the shoulder and men and women can wear suitable short pants as long as they are not more than 5" above the knee. We appreciate prize sponsorship by Rebecca Li-Huang and her Private Wealth Management team at Merrill Lynch. Rebecca and her partner manage $400 million of client assets and have 40 years of combined investment experience. Rebecca earned her MBA from Chicago GSB and is the President of Chicago GSB Alumni Club, the co-host of the event. Join us for the first annual MIT Young Alum BBQ and Pool Party! Kids are welcome to attend! Location: Weinberg House . . . . 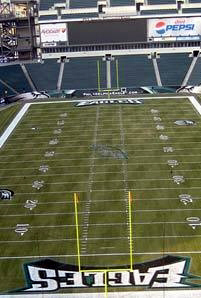 Phone: Gabriel and Lauren: . . . .
Tour Lincoln Financial Field, the home of the Philadelphia Eagles. Visit the Field, Locker Room, Press Box, Club and Suite Levels with your fellow MIT Alums! After the tour, enjoy lunch together at McFadden's Restaurant & Saloon, located nearby at Citizens Bank Park (we will pay individually at the restaurant). L. F. Field Directions (see important entrance and parking information below). Use the "intersection of 11th Street and Pattison Avenue" as your destination, or search by the name "Lincoln Financial Field." Please access the stadium through 11th Street (between Lincoln Financial Field & Wachovia Center), off of Pattison Ave. Please park and enter the stadium through the Pepsi Gate.